The new and growing trend of television prison dramas like Orange is the New Black brings the issue of solitary confinement, along with other issues related to incarceration, to a more general audience, exposing very real problems in the failing contemporary prison system, not just in America, but worldwide. The show's success leads us to ask how history, alongside fictional dramas and contemporary case reports, can draw attention to the issue of solitary confinement. "Solitary confinement harms prisoners who were not mentally ill upon entry to prison and worsens the mental health of those who were. Both historical and contemporary evidence has demonstrated how both short- and long-term solitary confinement threatens the physical and mental health of those who endure it." Prison writings from the nineteenth century speak evocatively of the horrors of being confined in a small cell for 23 hours out of 24. “No-one”, declared the author of Her Majesty’s Prisons in 1881, can conceive “how quickly confinement in a small cell, tells upon the health and nervous system of a man”. “No one can realize the horror of solitary confinement’, she went on, ‘who has not experienced it”. Many prisoners, according to another prison author, “whose brains had broken down under this pernicious system of solitary confinement” were moved to padded cells, “not fit for nothing more than to babble their sad incoherences to the walls of their cells.” Many were moved on to mental hospitals, others committed suicide. According to Deep Custody, a report produced by the Prison Reform Trust in 2015, the total segregation capacity in England and Wales in January 2015 was 1,586 cells; many prisoners still end up in cellular confinement for long periods, a result of poor provision rather than as punishment for the infringement of rules or a perceived need for segregation. Recent studies also note high rates of self-mutilation and suicide among inmates in solitary confinement. One 1995 study found that prisoners in solitary confinement accounted for nearly half of all suicides in California's prisons between 1999 and 2004. 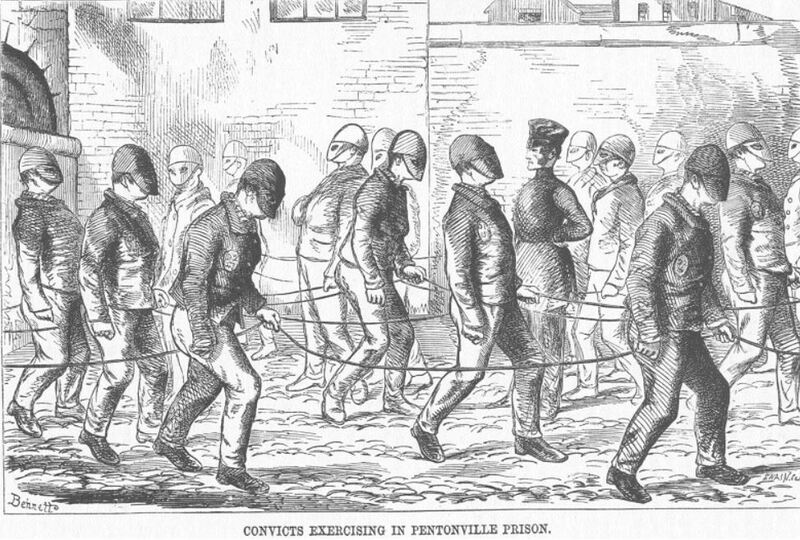 "Though prison reform is high on the agenda of the current British government and welcomed by prison reform organisations, there is little evidence to suggest that the problem of prisoners being locked in their cells for excessive periods is being tackled in an environment of staff shortages and very poor conditions in decaying structures dating from the Victorian period." A recent report on Wormwood Scrubs Prison in London revealed that many prisoners had less than two hours a day “unlocked” and all had only forty minutes of outdoor exercise a day. In the past decade, prison administrators in both the United States and England have significantly increased the use of solitary confinement as a means of “managing” difficult prisoners. History can make a powerful contribution to discussions on solitary confinement, documenting shifts in prison policy and discipline, establishing connections and continuities over two centuries, and acting as the wellspring of narratives that highlight its devastating impact over the long term. History adds significantly to the weight of evidence and force of argument on the destructive impact of isolation and joins forces with the reports of policymakers and prison reform organisations in urging that new approaches must be sought and the impact of solitary confinement mitigated. Professor Hilary Marland is a Principal Investigator (together with Dr Catherine Cox at University College Dublin) on the Wellcome Trust Senior Investigator Award (2014-19), 'Prisoners, Medical Care and Entitlement to Health in England and Ireland, 1850-2000'. Her interests lie particularly with the mental health of prisoners, the impact of prisons on mental wellbeing, and the health of women prisoners. She is joined at Warwick by Research Fellow Dr Margaret Charleroy, who is working on the history of prison conditions, including diet, the relationship between health and punishment and the role of prison medical officers. Marland’s research and publications have focused on the history of psychiatry, including Dangerous Motherhood: Insanity and Childbirth in Victorian Britain (2004) and the relationship between migration and mental illness, a joint project with Catherine Cox, that resulted in the edited collection, Migration, Health, and Ethnicity in the Modern World (2013). Her most recent book Health and Girlhood in Britain, 1874-1920 was published in 2013. Aside from prison medicine, she is currently working on medicine in the modern household. The Modern Records Centre at the University of Warwick was founded in October 1973 with the principal objectives of locating and preserving primary sources for modern British social, political and economic history, with special concentration on the national history of industrial relations, labour history and pressure groups and organizations. It holds rich collections on prison reform, notably the Howard League Archive.